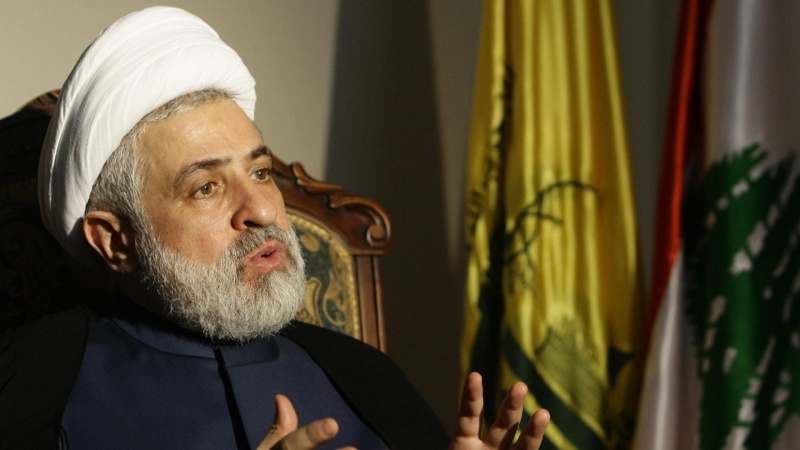 Deputy secretary general of Lebanese Hezbollah movement condemned the US measure to designate IRGC as a 'terrorist organization' and described the US action as 'illegal and a violation of the rights of a sovereign state'. 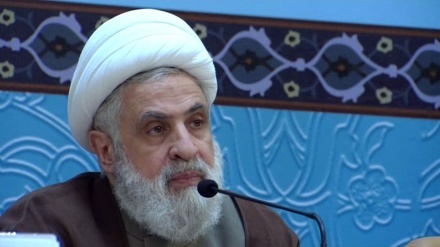 Iran Press/Iran news: The US measure against the Islamic Revolution Guard Corps (IRGC) is a violation of the rights of a sovereign state, Sheikh Naim Qassem referred to the failure of US plots against Iran in the past four decades and stressed that the Iranian nation will disappoint the enemies once again. 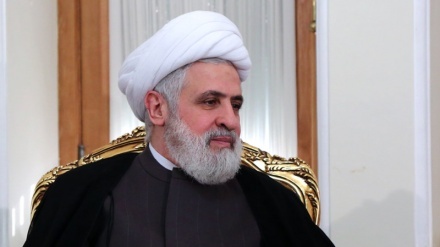 On 8 April, US President Donald Trump accused Iran’s Islamic Revolution Guard Corps of alleged financing and promoting terrorism in the region, a baseless accusation which the country strongly rejected and drew a fierce reaction from the global community ,Iran Press reported. In a reciprocal move, Iran also identified US a sponsor of terrorism and its central command (CENTCOM) as a terrorist group. Speaking at a cabinet session on April 10, Iranian President Hassan Rouhani said that the Islamic Revolution Guard Corps is defender of security and liberation in the region and on the front line of fighting against terrorism. Meanwhile, Iranian Foreign Minister Mohammad Javad Zarif warned the United Nations that Washington and its 'puppet regimes' bear full responsibility for Trump’s 'dangerous' decision. 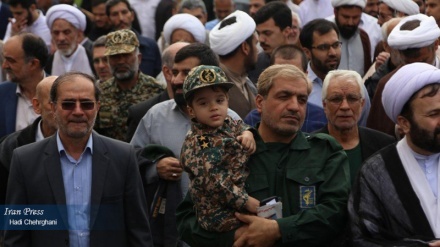 Commander of the Iranian army's ground forces, Brigadier General Kiumars Heidari, speaking before Friday Prayers in Tehran said that Iranian army forces cooperate hand in hand with IRGC. The latest anti-Iran move by Donald Trump was also met with fierce reactions from Iranian officials and ordinary people. Iranian people from all walks of life attended rallies across Iran on Friday 12 April to express support for the Islamic Revolution Guards Corps (IRGC) which has been blacklisted by the US government.